It was a decent week on the betting front last time out and I will be looking to improve on that this week. Bayern Munich and Dortmund remain all square at the top of the standings, 11 points clear of the rest. There are few exciting fixtures to get through so let’s get to it. Following a run of four matches without a win, Monchengladbach bounced back to winning ways with a 1-0 win away to Mainz. Freiburg’s home form has been excellent of late but it’s on the road where they have struggled. ‘Gladbach have won the last four home games against the visitors, scoring eight goals and conceding just once. The home win is on the cards. 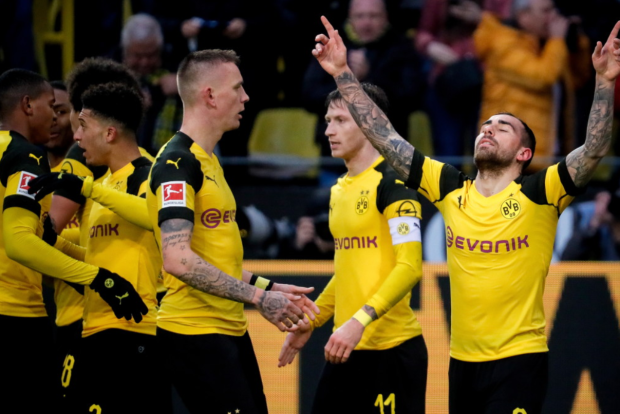 Relegation-threatened Stuttgart fell to a 3-1 defeat at Dortmund last time out, but prior to that, they had thumped Hannover 5-1 on home soil. Hoffenheim have lacked consistency this season but have found the back of the net in their last five away games. Expect a goal fest here with both sides looking capable of snatching all three points. Both Teams to Score – Yes – is tipped at 9/20. Schalke seem to be spiralling out of control and are without a win in their last seven matches, including five losses. Leipzig are in the opposite form and are unbeaten in their last seven games with four wins and three draws. Five of the last six games involving the Red Bulls have produced Under 2.5 goals. Schalke will be looking to be more solid defensively so I’m going to follow the trend and back Under 2.5 goals at 8/10. Augsburg are coming off two impressive results, edging Dortmund 2-1 at home before holding Leipzig to a goalless draw. Hannover have been dreadful in recent weeks with eight losses from their last nine matches. The hosts have shown they are willing to fight to stay in the top flight and if they keep it up, they will most likely be rewarded with another year in the Bundesliga. Augsburg are tipped to claim maximum points. Wolfsburg were humiliated last weekend with Bayern Munich running riot at the Allianz Arena, claiming a 6-0 victory. Dusseldorf were much better themselves, suffering a 3-0 defeat at home at the hands of Eintracht Frankfurt. Both sides will be desperate to get back to winning ways following their embarrassing defeats. Both Teams to Score – Yes – is tipped at 7/10. Hertha Berlin have struggled to maintain winning form but do have the quality to capitalize on home advantage. Dortmund have hit a slight speed wobble but their 3-1 win over Stuttgart last time out would have given the team a confidence boost. The reverse tie ended in a four-goal thriller with the spoils being shared 2-2. My money is on BVB controlling the game and coming away with a narrow victory. Bayer Leverkusen have been in top form with six wins from their last seven matches and will be looking to build on that. Werder Bremen are unbeaten in their last 11 matches in all competitions – before extra time – and are expected to make this a tight contest. The hosts are likely to dominate the game from the get-go but the River Islanders should approach this game with a tactical defensive approach. The Totals – Under 2.5 Goals – market is tipped at a valuable 29/20. Eintracht Frankfurt have been in great form with three wins in a row, scoring nine goals and conceding just twice. Nuremburg are bottom of the log without a win on the road, scoring eight goals and conceding 35 times. The hosts look a sure bet here but I’m in search of a bit more value. Take Frankfurt on the Home to Score in Both Halves – Yes – market at 11/10! The table-toppers, Bayern Munich, will play host to Mainz on Sunday evening at the Allianz Arena. The Bavarians have won five straight matches, scoring 18 goals and conceding just four times. Mainz have lost five of their last six games. The log-leaders are in top form and should continue that form here. Bayern Munich are tipped to win both halves at 19/20.